Tag(s): pets, kittens, cats, "pet adoptions", "kitten season", "contra costa animal services", "animal services"
Maddie’s Fund is one of CCAS’ strongest partners and a generous funder of our work. For this month’s blog, we wanted to post a blog by Maddie’s Fund about a remarkable study they’ve conducted with the University of Tennessee Knoxville’s College of Social Work Program for Pet Health Equity regarding access to pet care in 2017. This is a fantastic and enlightening read that we strongly recommend. 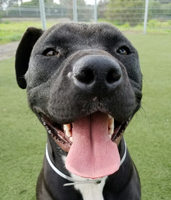 Tag(s): dogs, cats, animals, adoptions, "veterinary care", "pet adoption", "contra costa animal services"
Wondering whether to adopt or buy a dog or cat? Adopt don't buy!